I would like to thank John Young, author of 'They Fell Like Stones', for permission to use the pictures from his collection. Assistant Commissary Thomas ALDERTON - Commissariat & Transport Dept. Drowned crossing a river near Bethlehem, Orange Free State, 5th April 1879. Aged 45. Killed at Isandlwana, 22nd January 1879. Aged 27. Son of G. Anstey, of London. Born in Highercombe, South Australia. His body was brought back to England and buried in Woking Cemetery. Killed at Isandlwana, 22nd Jan. 1879. Aged 23. Son of Adam Atkinson and Charlotte Collett. Killed at Hlobane, 28th March 1879. Aged 30. Born in Dublin. Memorial in the Royal Military Chapel, Wellington Barracks - "Robert Johnston Barton. Lieutenant and Captain Coldstream Guards, born February 20, 1849, youngest son of the late Thomas Johnston Barton, Glendalough, Co. Wicklow. Killed March 28, 1879, in the attempt to save the life of a wounded brother officer, near the Zloblani Mountain, in Zululand, while employed on Special Service." Killed at Isandlwana, 22nd Jan. 1879. Aged 43. Enlisted in the Scots Fusilier Guards, aged 11. Died of wounds at Kambula, 29th March 1879. Aged 21. 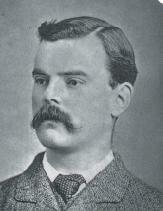 Son of Tyndall Bright, of Liverpool. Memorial at Holy Trinity Church, Abbots Leigh - "Arthur Tyndall Bright, Lieutenant 90th Light Infantry. Born August 14th 1857. Killed in action at Kambala Camp, South Africa while gallantly leading his company March 29th 1879 aged 21 years and 7 months." Lieut. W. BRUCE - Diamond Fields Horse - Killed in action at Gobatse Heights, 14th October 1878. 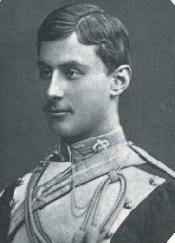 His Imperial Highness Eugene Louis Jean Joseph Napoleon BONAPARTE, Prince Imperial. Killed near Ityotyozi River, Zululand, 1st June 1879. Son of Emperor Napoleon III of France. 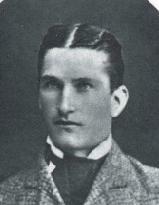 Aged 22. Attached to the Staff. Memorial at Prince Imperial Way, Chiselhurst, London - "Napoleon Eugene Louis Jean Joseph Prince Imperial killed in Zululand 1st June 1879. I shall die with a sentiment of profound gratitude for Her Majesty the Queen of England for all the royal family and for the country where I received during 8 years such a cordial hospitality (last testament of Prince). In memory of the Prince Imperial and sorrow at his death, this cross is erected by the dwellers of Chiselhurst." Killed at Hlobane, 28th March 1879. Aged 30. Son of the Earl of Cawdor and Sarah Cavendish. Husband of Katherine Claughton. Buried on Zlobani Mountain, where he fell. Memorial in the Royal Military Chapel, Wellington Barracks - "Captain the Honble. 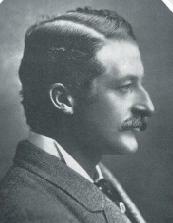 Ronald George Elidor Campbell, Second son of John Frederick Vaughan, second Earl of Cawdor. Born December 30th 1848. Coldstream Guards 1867, Adjutant 1st Battalion 1872-79. He served in the Zulu War as Staff Officer to Colonel Sir Evelyn Wood, VC, KCB, and fell on the Zlobani Mountain, March 28th 1879, in the performance of a most gallant act. He was buried where he fell by his comrades, under the fire of the enemy." Listed on the Royal Engineers Memorial, Rochester. Killed at Isandlwana 22nd January 1879. Aged 26. (Posthumous VC). Son of Sir John Coghill, of Drumcondra, county Dublin. Buried with Lieut. Melvill - "In memory of Lt. and Adj. Teignmouth Melvill and Lt. Nevill J. A. Coghill, 1st Batt. 24th Regt., who died on this spot 22nd Jany. 1879, to save the Queen's Colour of their Regiment." Died at Etshowe, 16th March 1879. Aged 18. Son of Rev. Cadwallader and Emily Coker. Killed at Isandlwana 22nd Jan. 1879. Aged 23. 2nd Lieutenant William Irvine D'ARCY - 99th (Lanarkshire) Regt. Died at Durban, 23rd September 1879. Aged 20. 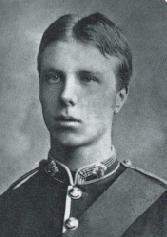 Son of Captain William D'Arcy (67th Regt.) and Louisa Cockburn. Born in Dover. Lieutenant Arthur Stewart Fielding DAVISON - 99th (Lanarkshire) Regt. Died at Etshowe, 27th March 1879. Aged 23. 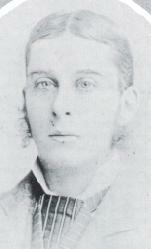 Son of Captain Davison and Louisa Chambers. Killed at Isandlwana, 22nd January 1879. Aged 37. Son of Walter Degacher, of St. Omer, France. Husband of Caroline Smith. (daughter of General Webber Smith, CB). killed in action at Kwamagwasa, Zululand, 30th June 1879. Aged 26. Son of Sir George Douglas, MP, and Dona Sanchez de Pina. Born in Edinburgh. Killed at Isandlwana, 22nd January 1879. Aged 48. Son of General E. Durnford (Royal Engineers). Killed at Isandlwana 22nd Jan. 1879. Aged 24. 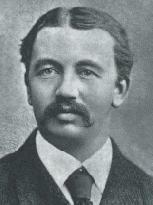 Son of Henry Dyer and Emma Glass. Born in Surrey. Killed at Isandlwana, 22nd Jan. 1879. Aged 20. Son of Major Edwards Dyson and Caroline Jerdan, of London. 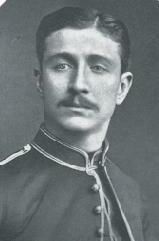 2nd Lieutenant George Rowley John EVELYN - 2/3rd East Kent Regt. Died at Etshowe, 30th March 1879. Aged 21. 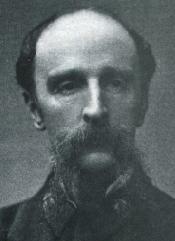 Son of Colonel George Evelyn and Esther Phillips. Born in London. Memorial at St. Johns Church, Wotton, Surrey - "In memory of George Rowly John Evelyn, 2nd Lieut in the 3rd Regiment 'The Buffs' formerly Lieut in the 31st Regiment of the Royal Surrey Militia. Eldest son of Colonel George Palmer Evelyn, and Esther Emiline, his wife and grandson of George Evelyn of Wotton. Born in the parish of St. George's Hanover Square in the county of Middlesex 12th August 1857 baptised in St. Peters Church Pimlico 6th October of the same year. Died unmarried at Fort Ekowe South Africa 30th March 1879 aged 21 years. He fell a victim to the fatigue and privations of war. This tablet is placed by his sorrowing parents, sister and brothers." Died at Fort Pearson, 20th Sept. 1879. Aged 28. 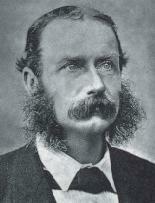 Son of William Farmer and Matilda Wilkinson. Born in Cheam, Surrey. Died, 20th February 1879. Aged 19. 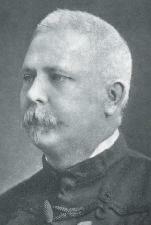 Son of Major-General C. Franklin, CB. (Royal Artillery). Educated at Cheltenham College. Killed at Ezunganyan Hill, 5th June 1879. Aged 20. 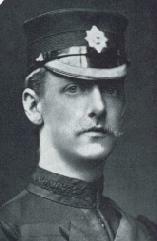 Son of Major Cokayne Fith and Amelia Kane. Born in Oban, Argyllshire. He was shot through the heart. 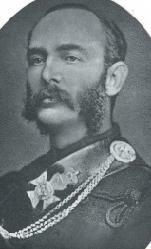 Killed Isandlwana 22 Jan. 1879. Aged 25. Son of Robert and Elizabeth. Born in Surrey. Died at Herwen, 19th April 1879. Aged 22. 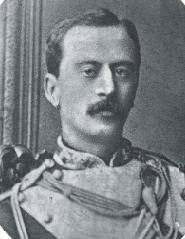 Son of Viscount Gough, of Galway. Killed Isandlwana, 22nd Jan. 1879. Aged 21. Son of Rev. Thomas Griffith and Mary Whitmore, of North Wales. killed at Isandlwana, 22nd January 1879. Aged 37. Son of Joshua Hall, of Norwich. Died at Landman's Drift, Natal, 4th October 1879. Aged 28. 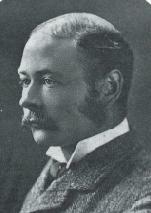 Son of Sir John Hardy and Laura Holbech. Born in Warwickshire. Killed at Isandlwana, 22nd Jan. 1879. Aged 24. Son of Sir George Hodson, of Bray, county Wicklow. Born in Dublin. 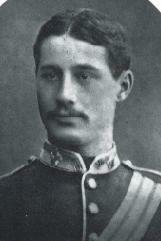 Lieutenant George Charles Jefferyes JOHNSON - 99th (Lanarkshire) Regt. Killed at Ginghilovo, 2nd April 1879. Aged 28. Son of William Johnson, of Cork. Educated at Cheltenham College. Killed at Sekukini's Stronghold 28th November 1879. (attached 1st Dragoon Guards). Aged 35. Son of Rev. John Lawrell, of Hampshire. Husband of Mary Hamilton. 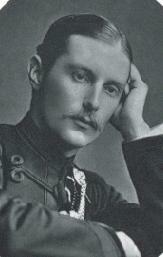 Lieutenant Charles Eveleyn MASON - 2/3rd East Kent Regt. Died at Herwen, 7th April 1879. Aged 24. 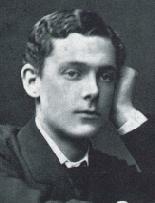 Son of G. Mason and Marianne Mitford. Born in Langharne, Carmarthenshire. Killed at Isandlwana, 22nd January 1879. 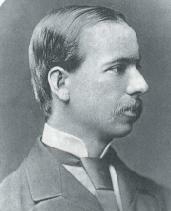 Son of Professor MacDowel, MD, of University of Dublin. 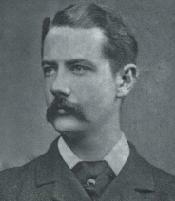 Captain Elliott Henry McNAGHTON - Frontier Light Horse - Killed in action at Perie Bush, 8th May 1878. Believed to be ex-20th Hussars. "In memory of Lt. and Adj. Teignmouth Melvill and Lt. Nevill J. A. Coghill, 1st Batt. 24th Regt., who died on this spot 22nd Jany. 1879, to save the Queen's Colour of their Regiment." Memorial at Harrow School Chapel - "Erected by brother officers & other friends in memory of Teignmouth Melvill, old Harrovian and Lieut. in HM 24 Regt who with Lieut. 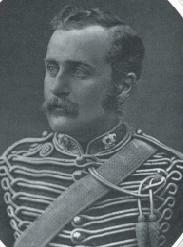 Coghill fell at Isandhlwana in SA while saving the colours of the regt and was honoured after his death by his sovereign with the VC. Born 8 Sep 1842 died Jan 22 1879." Captain David Barry MORIARTY - 80th (Staffordshire) Regt. Killed at Myer's Drift, Ntombe River, 11th March 1879. Aged 42. Son of James Moriarty and Mary, of Kilmallock, county Limerick. Killed at Isandlwana, 22nd Jan. 1879. Aged 36. Son of Rev. George Mostyn and Charlotte Eccles. Born in Glasgow. Died at Fort Pearson, 25th April 1879. Aged 22. Son of Robert Mynors and Ellen Higgins, of Kington, Herefordshire. Died of wounds at Kambala, 30th March 1879. Aged 30. 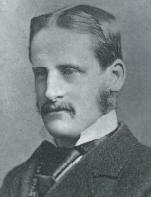 Son of Admiral Sir Frederick Nicolson, CB and Clementia Esquire. Memorial at St. Pauls Church, Westminster, London - "In memory of Clementia, wife of Sir Fredk Nicolson Bart, who died July 17 1851 and of Fredk their son who fell in action at Kambula March 29 1879 aged 30 years." Wounded at Ginghilovo (2nd April), died 6th April 1879. Aged 42. 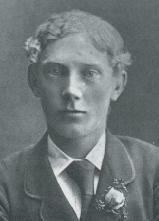 Son of Edward Northey & Charlotte Anson. 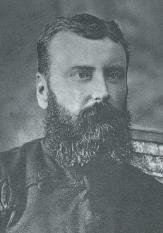 Husband of Charlotte Gzowski (of Toronto, Canada). Memorial at St. Martins Church, Epsom, Surrey - "In memory of Francis Vernon Northey, Lieut.Col. 3rd Batt. 60th Rifles. He was mortally wounded in action on the 2nd April 1879 at the Battle of Ginginhlova in Zululand and died on the 6th April aged 42. His body was brought to England and buried in the Epsom Cemetery. This tablet was erected by his sisters." Wounded at Ulundi, died in camp on the Umlatoosi River, 14th July 1879. Aged 23. 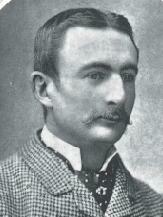 Son of Edward Pardoe and Harriet Astell. Memorial at St. Marks Church, Highcliff, Dorset - "In memory of George Astell Pardoe, Lieutenant in the 13th Light Infantry buried at Fort Marshall, Zululand, S. Africa. Second son of Edward Pardoe Esq of Amberwood, Hampshire. 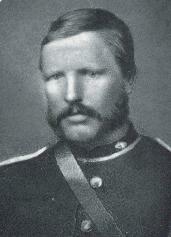 He died 14th July 1879 of wounds received at the Battle of Ulundi on the 4th of the same month aged 23. This window is erected by his mother." Died at Utrecht, 7th April 1879. Aged 25. Son of Rev. 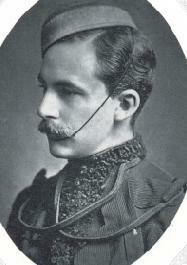 George Thornton. Memorial at St. Marys Church, Radnage, Buckinghamshire - "In memory of Stephen T. Phillmore, Deputy HM Ordnance Department, son of Rev. George Phillmore, rector of this parish. Born 15th August 1853 died of fever at Utrecht Transvaal South Africa on the 7th April 1879 while serving his country with 'Woods Flying Column' operating against the Zulus. This tabler is erected by his brother officers serving in South Africa during the Zulu Campaign of 1879 in token of their regard for him and the esteem in which they held his many sterling qualities." Killed at Isandlwana 22nd Jan. 1879. Aged 29. Son of Rev. J. Pope (HEICS). Killed at Isandlwana, 22nd Jan uary 1879. Aged 31. Son of James Porteous and Emily Kemble, of Jamaica. 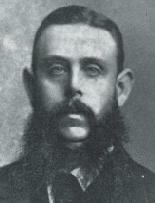 Quartermaster James PULLEN - 1/24th (2nd Warwickshire Regt.) Killed at Isandlwana, 22nd Jan. 1879. Killed at Isandlwana, 22nd Jan. 1879. Aged 40. Son of Rev. Robert Pulleine and Susan Burmester. Born in Yorkshire. Husband of Frances Bell, of Fermoy. Memorial at St. Johns Church, Kirby Wiske, Yorkshire - "Sacred to the memory of Lt Col Burmester Pulleine HM 24th Warwickshire Regiment. Born 12 December 1838 who fell with the greater part of his regiment at Isandhlwana South Africa January 22nd 1879." 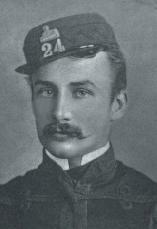 Lieutenant John Lawrence RAINES - 2nd Bn. 2nd Regt, Natal Native Contingent. Killed in action at Inyetzane, 22nd January 1879. Memorial at St. Peters Church, Burton Pidsea, Humberside - "John Lawrence Raines, eldest son of Rev. C.A. Raines MA, vicar of St Peters Newcastle on Tyne. An officer killed in Zululand." 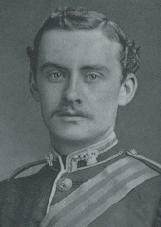 Captain Francis Broadfoot RUSSELL - 11th Battery, 7th Brigade, Royal Artillery. Killed at Isandlwana, 22nd January 1879. Aged 36. 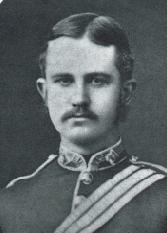 Son of Lieut-Colonel F. Russell (Madras Infantry). Born in India. Died at Kambula, Zululand, 31st March 1879. Aged 31. Son of Lieutenant-General Sandham (Royal Artillery) and Mary Gear. 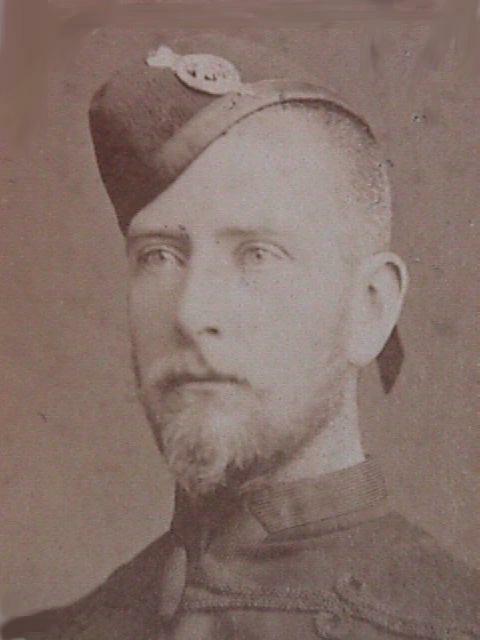 Lieutenant James H. SCOTT-DOUGLAS - 2/21st Royal Scots Fusiliers. Surgeon Major Peter SHEPHERD - Army Medical Dept. Killed at Isandlwana, 22nd January 1879. Aged 37. Son of Peter Shepherd, of Craigmill, Aberdeenshire. Killed at Isandlwana, 22nd January 1879. Aged 34. Son of Rev. Stuart Smith and Henrietta Graham. Born in Ballintemple, county Cavan. 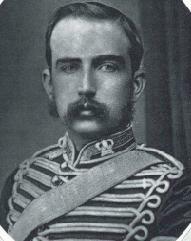 Lieutenant John THIRKILL - 88th (Connaught Rangers) Regt. Died at Herwen, 22nd April 1879. Aged 27. Son of Rev. Thomas Thirkill. Born in Ireland. Memorial at St. Marys Church, Ross-on-Wye - "Sacred to the memory of Lieutenant John Thirkhill, 88th Connaught Rangers who died near Stanger, Natal on the 22nd of April 1879 from the effects of fever contracted while on active service in Zululand. Erected by the officers, non-commissioned officers and men of the regiment in affectionate remembrance of a comrade well loved and deeply lamented." Died at Durban, 8th October 1879. Joined the 8th Hussars in 1855, served in the Indian Mutiny (1858). Killed at Isandlwana, 22nd January 1879. Aged 24. Son of Viscount Gort and Caroline. 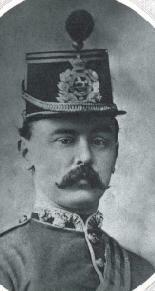 Lieutenant Count Otto Von STIETENCRON - Frontier Light Horse. Killed at Isandlwana, 22nd Jan. 1879. Aged 38. Son of Major Wardell (66th Foot, 93rd Highlanders and Royal Canadian Rifles). Born in Toronto, Canada. 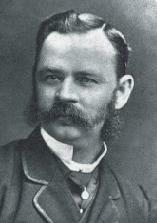 Husband of Lucy Russell. 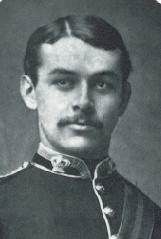 His brother, Captain John Charles Wardell, Royal Marine Light Infantry, was killed at the battle of Tel-el-kebir, Egypt, 1882. Killed at Isandlwana, 22nd January 1879. Aged 49. Son of Benjamin White, of King's County, Ireland. Husband of Agnes Tracey. Memorial at Aberpergwm Parish Church, Glyn Neath, Wales - "Sacred to the memory of Captn George Williams, fourth son of W. William Esq of Aberpergwm, who was killed whilst serving with the Frontier Lt. Horse in the Zulu War, during the action on the Zlobane Mountain, March 28th 1879, aged 27." Killed near the Zlobane Mountain, 28th March 1879. Aged 23. Son of John Williams, of Didsbury, Manchester. 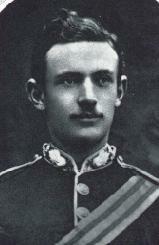 Captain Herbert John Mainwaring WILLIAMS - 2/3rd East Kent Regt. Died at Etshowe, 12th March 1879. Aged 40. Son of Rev. Richard Williams, of Monmouthshire. 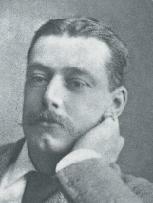 Husband of Wilhelmina Brittain. Killed at Ulundi, 3rd July 1879. Aged 33. Son of Rev. Edgell Wyatt-Edgell and Henrietta, Baroness Braye. Died at Fort Pearson, Natal Frontier, 9th April 1879. Aged 36. 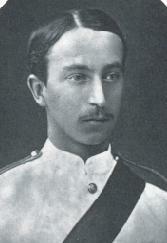 Son of Captain John Wynne (Royal Artillery) and Anne. Born in Louth. Husband of Lucy Parish. Killed at Isandlwana, 22nd Jan. 1879. Aged 35. 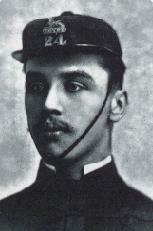 Son of Captain Thomas (H.E.I.C.S.) and Pascoa Baretto. Born at Bath. Husband of Evelyn Davies.